Training and raising a dog in South Carolina using conventional methods can pose serious problems for pet owners. Many dog owners struggle with ways to contain their pets within the boundaries of their property. Some have resorted to chaining them to a tree, fence, or post for a long period of time. This can have a negative impact on the dog, often leaving them agitated and aggressive. The long-term chaining of dogs leaves them feeling vulnerable to other animals and taunting humans. This can result in an eventual attack that leads the community to take action against the pet owner. In fact, many communities have already enacted laws forbidding the long-term chaining and tethering of dogs. Pet owners should search for other pet containment solutions to avoid future conflict. Many dog owners have opted to install conventional fencing in their yard as a means to contain their pets. A conventional fence works to keep your dog inside the yard. It also keeps other animals out. Conventional fencing does block the visibility of the neighborhood, which can disappoint homeowners with a scenic view. A conventional fence also requires an investment to install and maintain. In addition, a conventional fence does not always keep animals from digging a hole around the fence and escaping the yard unlike a wireless dog fence. Wireless dog fence systems are a suitable solution for most pet owners. A pet fence creates a perimeter that keeps your dog at bay. Many dog owners considering alternative containment solutions choose a humane brand of products that promise not to hurt their pets, such as the Dog Guard out-of-sight electric fence. South Carolina dog owners can rest assured that their pets can roam free around the yard without harm. 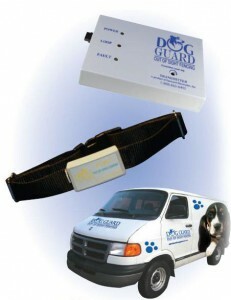 Dog owners can gain peace of mind knowing they have chosen a veterinarian-approved electric dog fence. South Carolina dog owners can take advantage of this affordable underground electronic fencing system that contains their pets within the perimeter of their yard. Our products combine state-of-the-art electronics and animal training, making it the perfect choice for dog owners looking for an electric dog fence. SC dog owners can also cut out the expense of having to maintain conventional fencing systems. It also protects your pet from getting caught or mangled in aluminum or chain-link fencing materials. Our products give dog owners the ability to configure the perimeter of the hidden fence. SC dog owners can ensure their pets stay within the perimeter using these configuration options. In fact, dog owners can customize their settings to keep their pet away from prohibited areas, such as the garden, pool, flower beds, and shrubs. Imagine not having to chase your dog down the street! Dog Guard out-of-sight pet fence supplies a two-zone T-4 transmitter that gives dog owners control over the setup of corrections based on their pet’s temperament. We also supply a RT-2 transmitter for dog owners who want to restrain their pet within their home. The wireless pet fence emits a radio signal that contains your pet within the selected boundaries. We install a thin wire underground that creates an electronic barrier, which keeps your dog contained around the hidden fence. SC dog owners simply place a receiver around their pet’s neck. The dog wears the receiver like a collar. The receiver picks up the radio signal emitted from the transmitter as the dog approaches the perimeter. The dog receives a safe and humane stimulus level on its first approach. If it continues, it will receive the maximum correctional response to prevent it from escaping the perimeter. This is perfect for dogs who have trouble obeying commands. Dog owners need to properly train their pet to respect the auditory and electrical cues emitted from the transmitter. Dog owners should master the commands before they activate the underground electronic fence. This will require considerable repetition and praise, usually in the form of doggie treats, of the dog’s good behavior. After mastering the commands, dog owners should get their pet used to the boundaries. They can accomplish this by using the flag markers around the perimeter and allowing their dog to sniff the boundaries. Next, they can leash their dog and walk it around the perimeter with the electric fence activated. Dog owners should pull away their pets from the boundary as it approaches. Reward your dog with praise and a doggie treat every time it backs away from the perimeter. If the dog continues past the beeping sound, wait for the fence to emit the strong stimulus and then pull it back with disapproval. Repeat this process until your dog can stay within the perimeter off leash. Training and raising a dog to stay within the perimeter using basic commands can be tricky without a hidden fence. SC dog owners can rest assured in knowing that our pet fence offers everything they need to keep their pet contained. We offer the basic perimeter, double loop, and pinch off systems to help customize your perimeter. This is perfect for any living situation. Give us a call at 1-800-865-0495 and find out how you can purchase and customize your wireless pet fence. Buy your Dog Guard out-of-sight pet fence today!